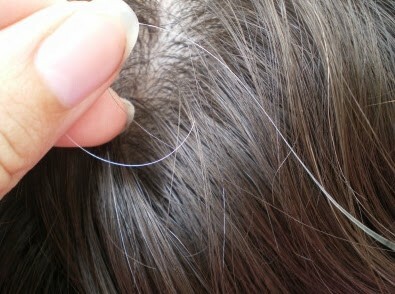 Hair graying is a natural age related phenomenon but experiencing it while you are young can become quite stressful. Below we have listed down two recipes of natural herb infused oil mix to treat premature hair graying. If you are beginning to notice strands of white hair in your 20s or early 30s then you are suffering from premature hair graying. Some of the most common factors that are responsible for this are lack of essential minerals and vitamins due to poor dietary habits, stress, smoking, pollution and genetics. Hair graying is a natural age related phenomenon but experiencing it while you are young can become quite stressful. The salt and pepper look does look classic but it will make you look older than your real age! Market is flooded with temporary chemical solutions that claim to be all natural but are damaging for your hair. So, is there a natural way that can reverse it? As simple as it may sound but you can find various natural ingredients in your kitchen that can help you. Below we have listed down two recipes of natural herb infused oil mix to treat premature hair graying. 1. 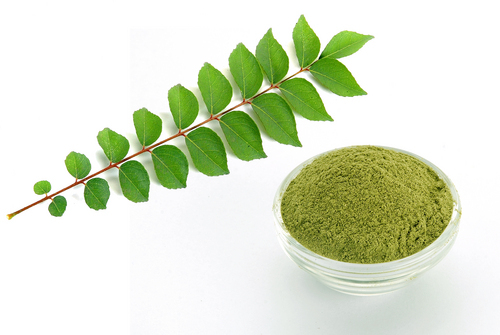 Curry Leaves Infused Hair Oil– To prepare this oil you will need – curry leaves and hair oil of your choice (coconut, olive or almond). Step 1 Take a bowl of clean curry leaves and dry them in the sun for a few days till they become crisp and dry. Once done, grind them into a fine powder. Step 2 Take 200 ml of hair oil and mix it with two tablespoon of the curry leaves powder. Now, heat this mixture for a couple of minutes. Step 3 Turn off the flame and let this mixture cool down. Step 4 Once cooled, filter the oil using a muslin cloth and store it in an air tight container. Directions for use: Gently massage the warm curry leaves infused hair oil on your scalp and hair two times a week. Use only your fingertips and massage in circular motions for 10-15 minutes. Wait for at least one hour before washing it off so that the oil is absorbed properly. Taking hair steam or covering your head with hot towel will also help the oil to penetrate deep into the scalp. 2. Amla Infused Hair Oil: To prepare this oil you will need – 5-7 fresh amla and hair oil of your choice. This amla infused hair oil can be used 2-3 times a week and till you see visible results. 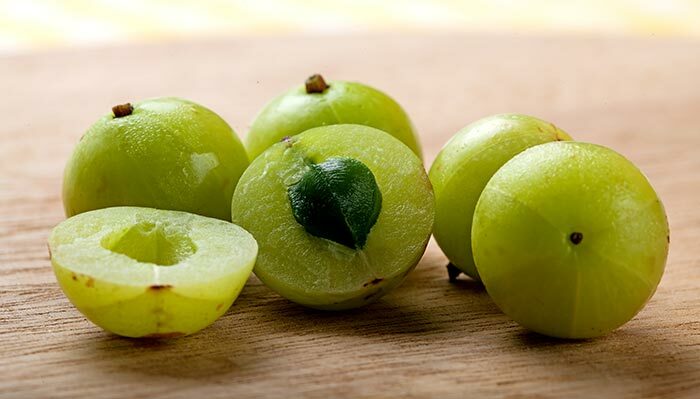 Step 1 Prepare a smooth amla paste using fresh amla pieces and 1 teaspoon of hair oil. Step 2 Add the amla paste to 100 ml of hair oil and put this mixture in an airtight container. Step 3 Leave this mixture for at least a week so that the oil absorbs all the qualities of amla. Step 4 Filter this oil using muslin cloth and store it in an air tight container. Directions for use: It is best to use the amla infused hair oil overnight to reap maximum benefits. Before going to bed, gently massage your hair and scalp with this warm oil. You can cover your head with a shower cap to prevent the oil from transferring on your pillow. Wash it with your usual shampoo in the morning.